Our mission is, “To promote and provide skilled and compassionate Hospice Palliative care to all persons living in the Helderberg community who are facing a life-threatening illness.” Helderberg Hospice offers care and support to those living with cancer, HIV/Aids, Motor Neurone Disease and any end-stage illness. Our values are Honesty, Work Ethic, Compassion and Transparency. Helderberg Hospice is mandated by our community to provide skilled and compassionate hospice palliative care to all persons who face a life-threatening illness and are referred to us with a predictable, restricted expectancy of life. We achieve this by the delivery of care in the patient’s own home with a specialised palliative care In-Patient Unit as back up for short-term interventions. Helderberg Hospice has, 1986, provided a comprehensive palliative health care programme for persons living with a terminal illness. This organization was created by the community and thrives in the support of that community. Great care has been taken in developing the brand of Helderberg Hospice. It is now one that the community is proud of and organisations are comfortable to be associated with. To this end we were awarded the 2011 Chamber of Commerce Marketing and Branding Award. The business was originally registered in terms of Section 21 of the Companies Act and is now recognised as a Not-For -Profit Company in terms of the new Companies Act of 2008. We are registered as a Non-Profit Organisation with the Dept of Social Development and as a Public Benefit Organisation in terms of the Income Tax Act. 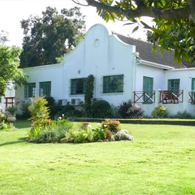 Helderberg Hospice, founded in 1986, was one of the earliest hospices established in South Africa. This service, to care for patients with any life-limiting illness, has grown and developed in response to the community needs in the intervening period. Today it offers a comprehensive palliative care service for persons living with illnesses such as Cancer, end stage organ failure, Degenerative Neurological Disorders and HIV/AIDS.